The Gentry Center opened in 1980 as a multi-purpose facility. The facility holds the rec center, basketball court, Olympic swimming pool, and indoor track. 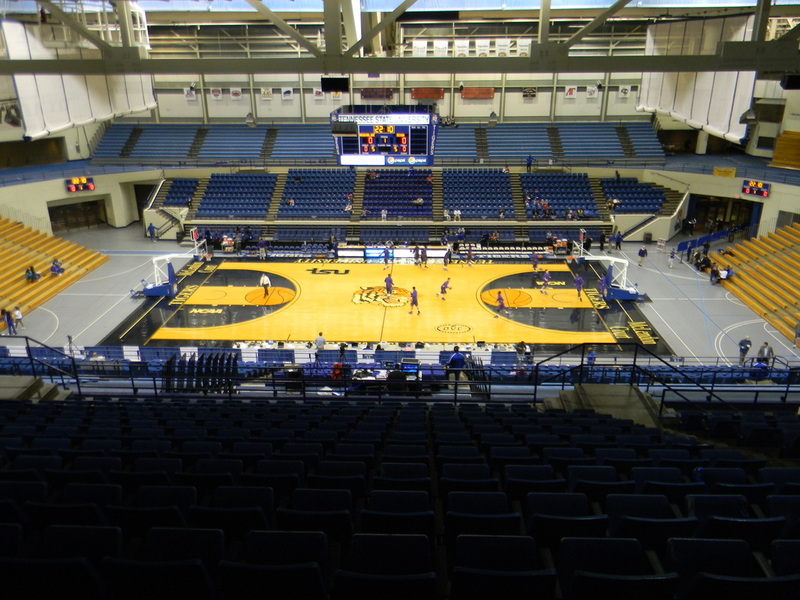 The arena has a capacity of 10,500 fans. The court is named after famed coach John McLendon. The seating behind the baseline are the same on both sides. A lower level of wooden bleachers that is divided by the track and beyond the track sits more wooden bleachers. The upper level wooden bleachers can be moved back against the wall when attendance is low. Behind the benches in sections T-9 through T-11 they have NCAA and OVC banners. Behind the benches you'll find three levels of seating. The lowest level has a few rows for reserved seating. The next level starts at section M and ends at section S. All seats in this level are blue. The student section is located behind the visitor's bench in sections M-0. In section P you will find new seating. The third level is separated by the second level by a track. This seating is from section T-12 to T16. Blue plastic bench seating can be found there. The section behind the press seating are broken into four sections. The top level features blue chairback seats, the next level down has the same plastic bleacher seating as the opposite side. The second tier of seating ranges from section F to L. Another part of the student section is found here, located from J-L. The reserved seating portion goes to the floor with only a small section of seats to the right of press row. Scoreboards are located above the four entrances. Two video boards are in the Gentry Center. One next to section T-9 and the second located above section T-17. 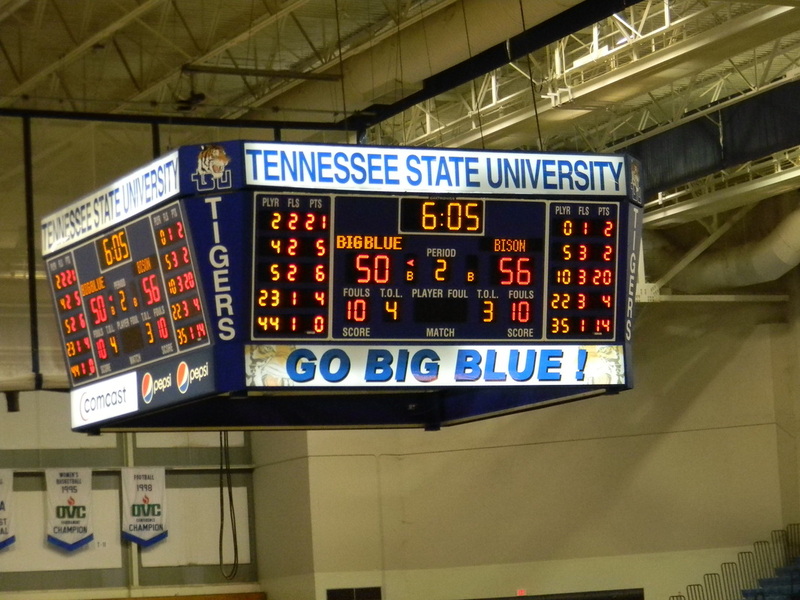 The center hung scoreboard gives you more features than the others with player number, points and fouls. These features can be seen on all four sides of the board. #1 Stop downtown near Broadway and take in the "honky-tonks" of Nashville. #2 Grab a bite before the game. Broadway and the West End have plenty of great dining options. #3 Find parking on campus by the Softball Field. Parking is free! #4 Check out the campus, most of the sports facilities surround the Gentry Center. #5 Head to the Gentry Center! Gentry Center: The capacity size is works, the setup doesn't. Hard to move from one tier to the other. The concourse isn't defined. The wooden bleachers don't match the rest of the seating in the arena. The track sticks out, but it is a multi-purpose facility. The inflatable Tiger the players came out of is a nice touch. Even from the top of the Gentry Center the view is solid. 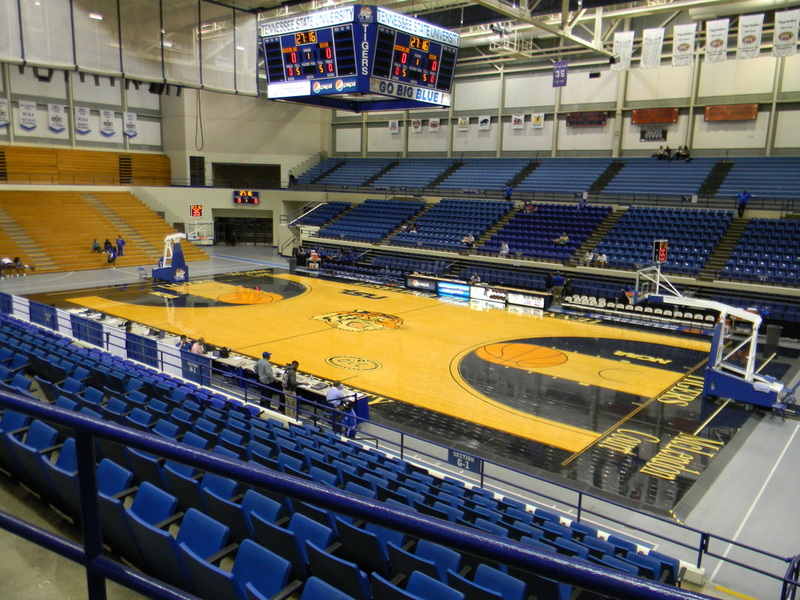 Things I would change: Get rid of the wooden bleachers and add in the plastic bleacher seating. Add the "Tigers" or "TSU" into the bleachers so if they aren't full, they aren't blank. Combine the lower level retractable seats with the next level. Gives the seating a more defined look rather than a few rows and a wall behind it. Make the second tier of seating more accessible to the track. I didn't see "Gentry Center" posted on the front of the arena anywhere. They need to put it on the building, I've never seen an arena without a name on it. Atmosphere: An average size crowd, the student section wasn't full, but the crowd at times could make some noise. The band was not here on my visit which definitely changes the atmosphere. Very disappointed that I missed the band. Scoreboards: The two videoboards were decent size. Center hung scoreboard provide some nice features, but looks dated. The four scoreboards above the entryways give fans the basic score for a quick look. Campus: Tennessee States campus is located in downtown Nashville. The campus sits near the Cumberland River. Enjoyed the athletic facilities being in the same area. Makes it quick and easy to check out all of them. 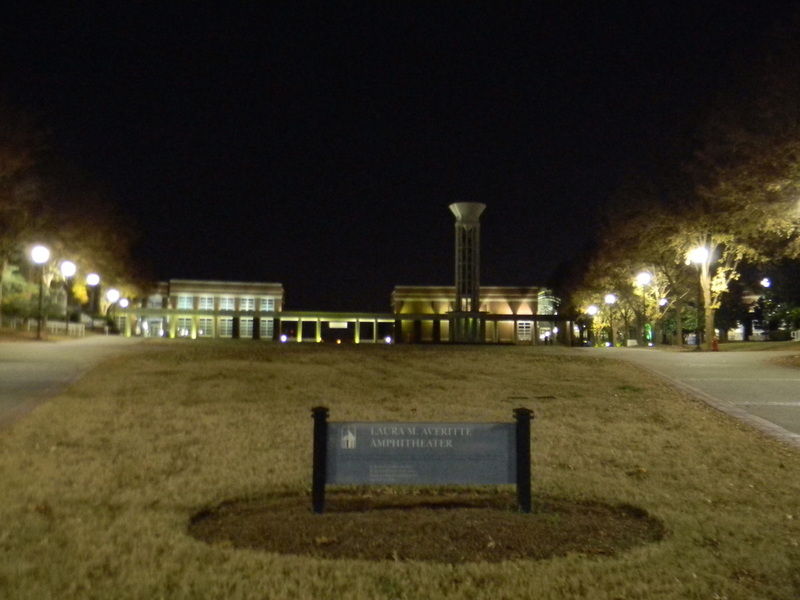 One of my favorite parts of the campus was the area around the McWherter building and Floyd-Payne Campus center. What's your rating for the Gentry Center?